As 2015 fast approaches, many Filipinos still have a business idea they want to pursue but still collecting dust at the back of their minds. If you ask them why they're still not putting it up, the answer will usually be simple: money. Capital or more accurately, the ack of capital – keeps the business dream just a dream. But what if there was a way to get funding without having to save up your salary or formally deal with investors? What if this method allowed you to not only raise money, but put your very business model through the ultimate gauntlet: Are people willing to pay for your product or service? Crowdfunding is intended to accomplish both these things. CROWDFUNDING. While the concept of crowdfunding is no longer really new in the Philippines, it has still yet to reach the heights that it has with companies abroad using Kickstarter or Indiegogo. 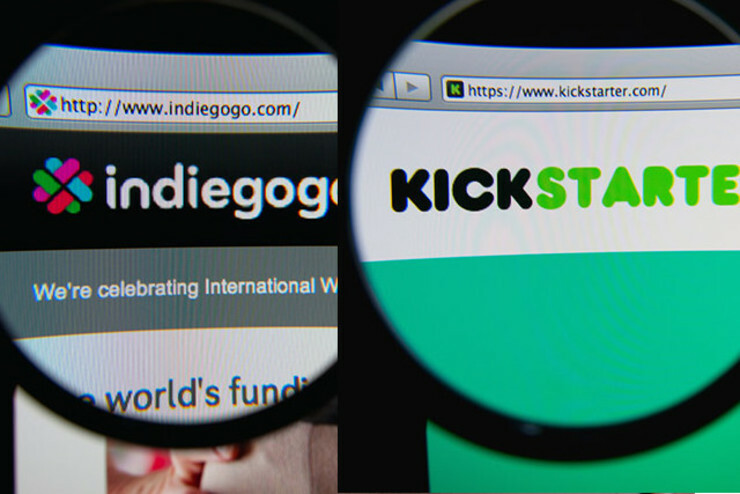 While the concept of crowdfunding is no longer really new in the Philippines, it has yet to reach the heights of the likes of companies abroad using Kickstarter or Indiegogo. Still, crowdfunding remains an attractive, viable option for aspiring Filipino entrepreneurs, and one such platform offering it in the country is The Spark Project. Gian Carlo Rosales of CarrierPro created Zig, an organizer bag for the GoPro camera. He chose to fund through The Spark Project because he lacked money at the time, and Zig, as he wanted it made, required a lot of different parts to be made in bulk, such as labels and accessories. Rosales also wanted to validate his idea. By preselling Zig bags through The Spark Project, he could test his business model. “This way, I was able to know if people were willing to buy my product, and if the idea is viable even before the product is created – it’s low-risk market research in essence,” he said. Cat Patacsil from First Harvest, which aims to produce nutritious homemade food like its peanut spread, chose The Spark Project, in particular, because she wanted to be featured among the proudly-Filipino brands and projects on the platform. A local route like The Spark Project is also more sensible because most of its supporters are local. “Delivering our rewards to our backers is more cost efficient,” she said. Crowdfunding, of course, is not easy. It's not like you just open a campaign page and the money begins to pour in. Rosales claimed that because crowdfunding happens online, you have a really small window of opportunity to grab someone’s attention with your own campaign. As such, the onus falls on you to gut it through. “You have to be really patient, and just be persistent,” he said. Similarly, Tal de Guzman, the founder and designer of Risqué designs found it difficult to make the video for her campaign because she was a novice. In the larger picture, she found that it was actually the “ask” that was the hardest part to do. “I was never really used to asking people for money, but now I had to,” she said. Scud Dy, the founder of Mr Kenkoy Ph, which creates Gugu Bags, found post-funding to be the biggest challenge. “We had to deliver all the promised rewards to our backers within a time frame,” he said. Most entrepreneurs used both online and offline channels to raise attention and money for their crowdfunding campaign. Offline, most of The Spark Project campaigners tapped into their immediate network of friends and family for contributions. Online, the entrepreneurs turned to social media. Yet even within the free-for-all world of social media, the entrepreneurs made sure their efforts would not go to waste by highly targeting their outreach. Rosales, for instance, reached out to GoPro groups on Facebook. “I talked to the members there, posted on the groups, and led them to my crowdfunding campaign,” he said. Ann Enriquez of Gouache Bags also reached out to her target demographic. “We also showed our prototypes to potential clients and directed them to The Spark Project so they could help with our crowdfunding campaign as well as purchase the bags at the pre-selling price,” she said. Perhaps most interestingly, Patacsil designed the rewards for the First Harvest campaign to maximize their online virality. One reward, for example, was experiential – an overnight stay for 5 at Gawad Kalinga’s Enchanted Farm – which would naturally appeal to a group of friends or a family. “In turn, the poster got shared more than a hundred times because people were tagging their friends in the post,” she said. In addition to the actual money, the attention the Zig campaign drew helped Rosales and his team get more press. “As a starting company, I lacked the network to make my company be known (i.e., be featured online and on print), and Spark helped tremendously in that aspect,” he said. Sometimes this attention translates to business-development partnerships, according to Enriquez. “Our exposure with The Spark Project also attracted a major retailer who eventually carried our brand in their stores,” she said. The Spark Project also offers a supportive community of backers who are generally more willing to help than normal customers would. As an example, they can help with introductions to other potential stakeholders. Patacsil shared the fact that one of their backers introduced them to her friend, the owner of Balai Pandesal, who was generous enough to offer carrying their products. “It was really helpful in increasing our distribution,” she said. Guzman also thinks that The Spark Project network of alumni is also extremely beneficial, and she commended co-founder Patch Dulay for making sure to build this community. “Patch is also very inclusive and always gets us The Spark Project alumni to be part of Spark’s events,” she said. Enriquez emphasized it’s not easy to ask people to fund your business. Your crowdfunding campaign needs to be well-executed on a variety of fronts. “You need to have a good product and a compelling story and a very sound business strategy to attract backers and make it worth their while,” she said. “And always make sure you are able to deliver what you promised your backers,” she stressed. Rosales echoed the need to have a great story. He believes that the company’s product and its story should be intertwined as a single package. “In crowdfunding, you shouldn’t just be pitching an awesome product, but equally important is telling the story behind it,” he said.